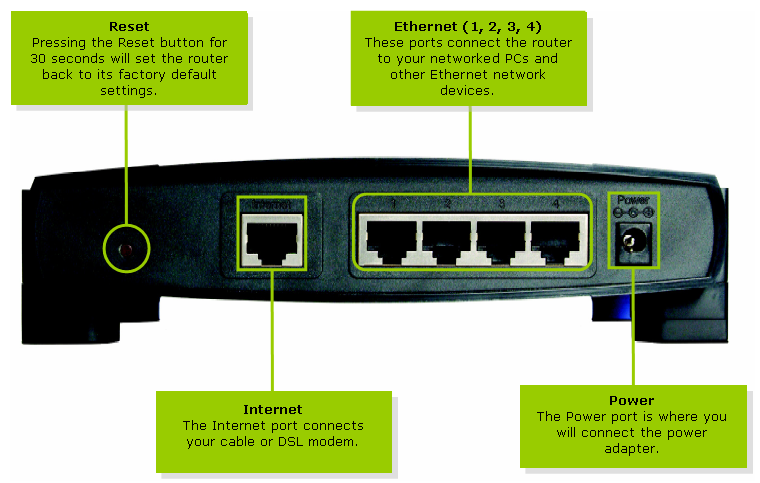 Supports Universal Plug-and-Play (UPnP) for easy configuration. QoS prioritization based on port or service type. 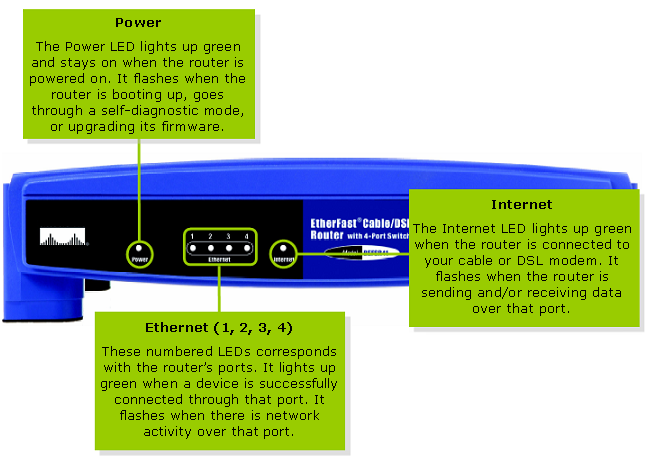 Supports Internet Protocol Security (IPSec) and Point-to-Point-Tunneling Protocol (PPTP) Passthrough. Administer and upgrade the router remotely over the Internet. Configurable as a Dynamic Host Configuration Protocol (DHCP) server on your network. Advanced security management functions for Port Filtering, MAC Address Filtering, and Demilitarized Zone (DMZ) hosting. 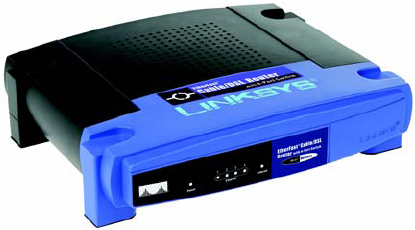 Automatically detects straight or cross-over cable.